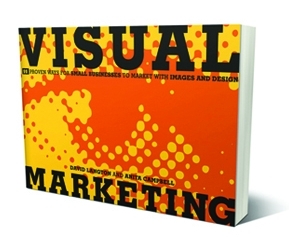 Visual Marketing: 99 Proven Ways for Small Businesses to Market with Images and Design is the new book by Small Business Trends founder Anita Campbell, along with New York City design professional David Langton. It is just what the title says. It contains 99 examples of how small businesses (and a smattering of small non-profits) are using visual images to speak to and connect with customers and the public. The book is an idea generator and the words are sparing as the images and pictures are key to the teachings of this book. Visual Marketing is meant to be thumbed through, when you have time. Pick it up for a few minutes or a few hours. Put it down, and then pick it up later. You really don’t need to start at the beginning to enjoy all the benefits that this book has to offer. Purchase the book today and take a picture of yourself reading it. 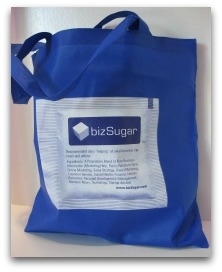 Post it on the Visual Marketing Facebook page or Tweet it @visualmktgbook or blog about it and we’ll send you a free BizSugar tote bag! 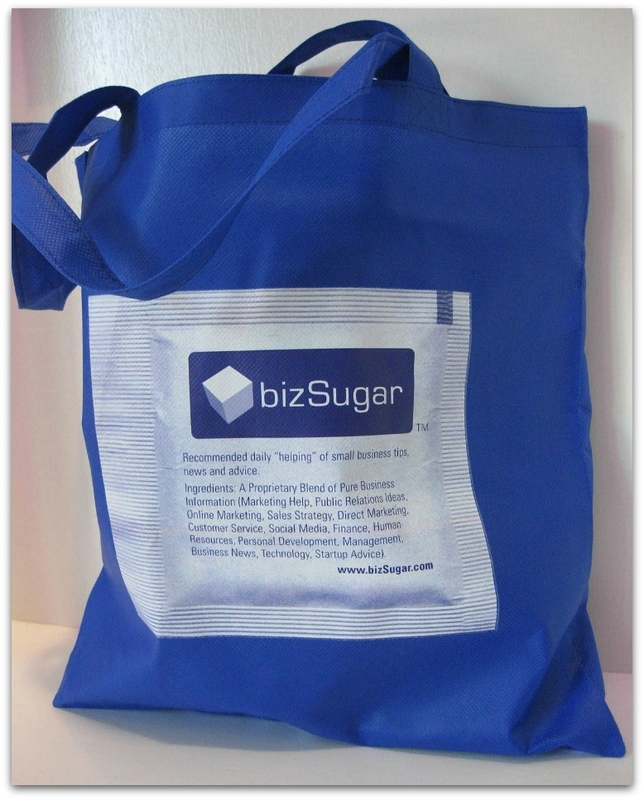 After doing so, send an email with your shipping address to hello@visualmarketingbook.com with “BizSugar Tote Bag” in the subject line so we can send you your gift! “Hand Drawn promos, cartoons, wines, spin records, freebies everything I could think of was in the book.” ~ Shashi Bellamkonda of Happenings, Advice and Technology Thoughts!